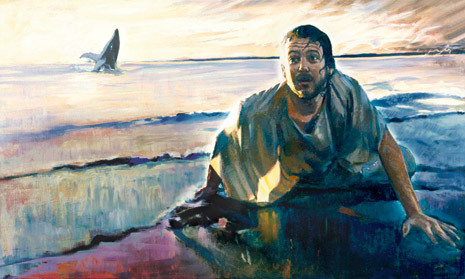 Jonah like, which apostle was almost thrown into the ocean because one of the sailors on board said he was responsible for a storm? From the life of Jedediah Morgan Grant: In 1851 Jedediah Grant was elected the first mayor of Salt Lake City and retained that position by an almost unanimous vote until his death. The honor of being chosen as second counselor to Brigham Young came in 1854, and with this call came the blessing of being ordained an apostle in the Church of Jesus Christ. Two years later a great reform movement swept the Church, headed in large measure by President Grant. The purpose of the reformation was to urge the Saints to improve the appearance of both themselves and their property and to become purified of all sin, confessing and abandoning everything unholy in their lives. So ardently did he work to effect this marvelous sanctification among the people he loved that his health broke down. Flake, Lawrence R., Prophets and Apostles of the Last Dispensation, (Provo, Utah: Religious Study Center, Brigham Young University, 2001), 252-253.